Stock symbols are a series of letters and numbers used to help quickly identify specific companies as they are traded on the stock exchange. Sounds pretty easy, but it's actually a mini-language aimed at bringing uniformity to the trading community. If there were only a few companies trading stocks on any particular stock exchange at any given time, there'd be little need. 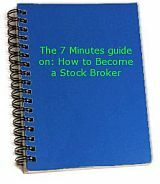 Those buying, selling and trading stocks would have no trouble communicating which stocks they were offering or looking to purchase. But there are thousands of stocks being traded at any given time and the result is that, there's plenty of room for error and confusion. The basis for the symbols is the company's name. You'll see some companies with a series of letters or numbers following the name in parenthesis. These are the symbols used to trade that company's stock on some particular stock exchange. Many companies use an acronym - the first letters of the words in the company name. The problem is that many companies have the same prominent letters, leading to the potential for misunderstandings during trading proceedings. That's why companies have to register their symbols, so that no two companies have the same symbols on the same stock market exchange, eliminating the potential for that error. In some cases, the initials of the company are already taken, so the company may take letters that don't appear in the company's name. For example, Coca-Cola uses the letters "KO" as their stock symbol. This "mini-language" doesn't stop with simply using letters or numbers to name a company for stock trading. There's another code in the number of letters or numbers being used. If the company's stock symbol consists of one to three letters (or numbers), that company is traded on the New York Stock Exchange. Two or three letters is used on the American Stock Exchange and four means that company is traded on the Nasdaq. There are some additional letters sometimes used after the symbols that represent the company name that are designed to help traders understand additional facts about the stock being bought, sold or traded. For example, stock with a dash symbol and the letter "Q" indicates that the company is in bankruptcy. It's up to the person considering the stocks to then do the research to see whether those stocks should be avoided at all costs. The reason for these kinds of symbols is clear - it prevents an unaware buyer from purchasing potentially worthless stock due to bankruptcy or some other action. There are also symbols that will help buyers know what stocks are preferred. The letter "P" indicates first class preferred stock, while "O" is second class preferred, "N" is third class and "M" is fourth. Other letters typically tacked on to stock symbols include "F" for foreign, "D" for new issue stocks, and "X" for mutual funds. The entire point of stock symbols was to bring uniformity to the trading industry. The result has been that some companies use their "trading name" to the exclusion of the real name. Some companies have gone so far as to adopt the name officially.